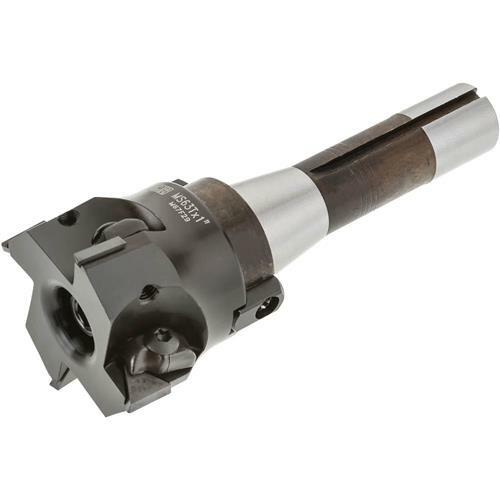 This 2-1/2" Face Mill accepts 4 carbide inserts (4 G4051 included). Comes with an R-8 Arbor. See G4051 for additional Carbide Inserts. Takes 7/16"-20 drawbar. All I had to do was place the cutters on it and use it. Seemingly good quality. And it came with a set of cutters in the package. I thought I had to buy a set so ordered some. I'm still using the mill for several hours almost every day. Boy, I hope it lasts. Ditta the table drive - that's almost too good to be true! Have not used yet. Will be a Christmas gift. Looks like great item. Finished Allen Models water pump parts with this. Worked well. Great tool and good price as well as Grizzly's good service. This thing did the job fast! I had never used a face mill before, but this got my job done in no time. This is a very fine face mill. The finish is better than expected.